Making gifts for others is one of my favorite things about sewing (one of the reasons I wrote an entire book on the subject of gift giving). February is the month of LOVE and to celebrate, I designed this free tutorial to make the Hearts on Fire Hot Pads. You'll find all the details over on the Olfa website right here. The heart is actually a pocket for your hands and makes this more of an oven mitt. There is even a little spotlight interview with me where I brag a bit about my cooking abilities. 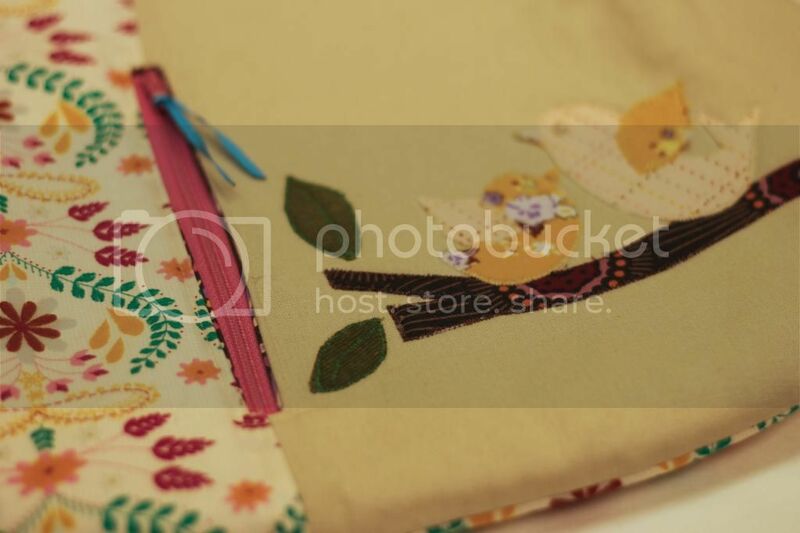 In these samples, I used the "Kiss the Cook" fabrics from Dear Stella. I LOVE them. My Two Peas are on a livestock judging team in our county and they raise market lambs so it seemed pretty appropriate for our family. 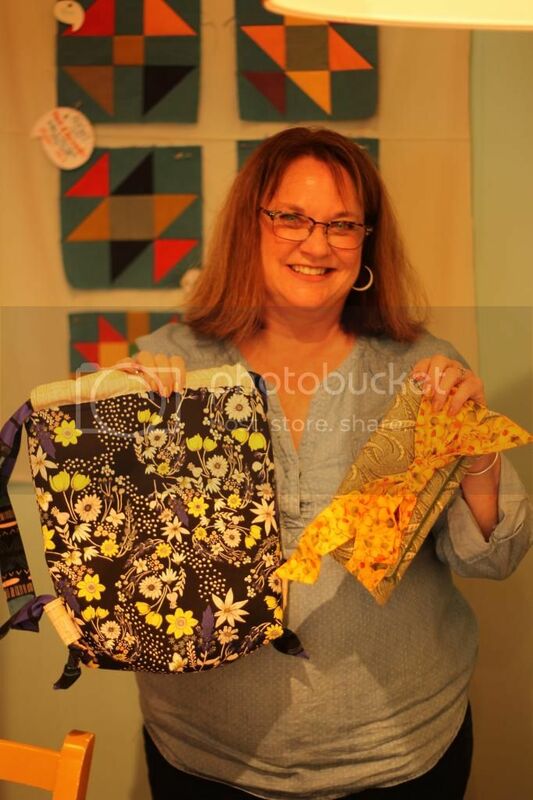 Thanks to Dear Stella for providing the Kiss the Cook fabrics and The Warm Company for the Insulbright interfacing. As always, thank you to Bernina USA - I sew with a B580 and it makes sewing a breeze! Thank you. Words that don't seem to express nearly the gratitude that fills my heart after the last 14 days of this blog book tour for Because I Love You Sew. The last stop on the tour is right here, today. This book was most certainly a labor of love. Many people think that sewing and design work is my "full time" job. Truth is, I have a long time career working in higher education and the environmental field which is where I spend the majority of my "work" time. This "Two Peas" business of mine is my passion. It's my creative outlet. 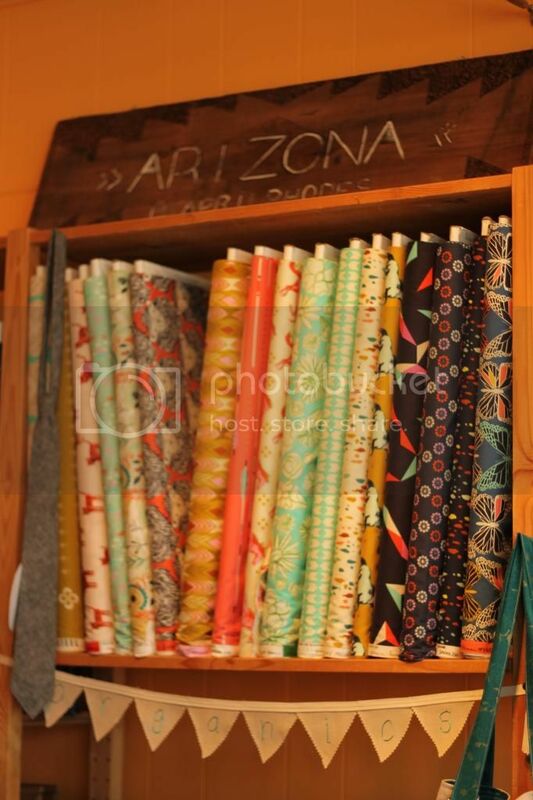 It's where I get to dream and imagine, draw and paint, create and sew, write and share. I don't know what I would do if I didn't have that outlet. It fulfills me and I'm so thankful that God created ART. I love it. And I love this creative community that I am a part of - you are beautiful and you fill my heart to the brim. So when I sat down to write this book, I did it on the weekends. After bedtimes late at night and during nap times on my days off. There were tears. And sleepless nights. And a lot of ripping out seams on stitches that just didn't work. And in the end, came this. A book. With my name on it. Where I shared stories about my kids and our lives. Projects that I have loved making and I hope you enjoy making them too. I am incredibly humbled that anyone besides my Mom has purchased this book and equally humbled and grateful for the kind words and reviews this book has received. I want to tell you THANK YOU - with a big giveaway. I'm offering a signed copy of the book, Because I Love You Sew. A trio of my Two Peas patterns. 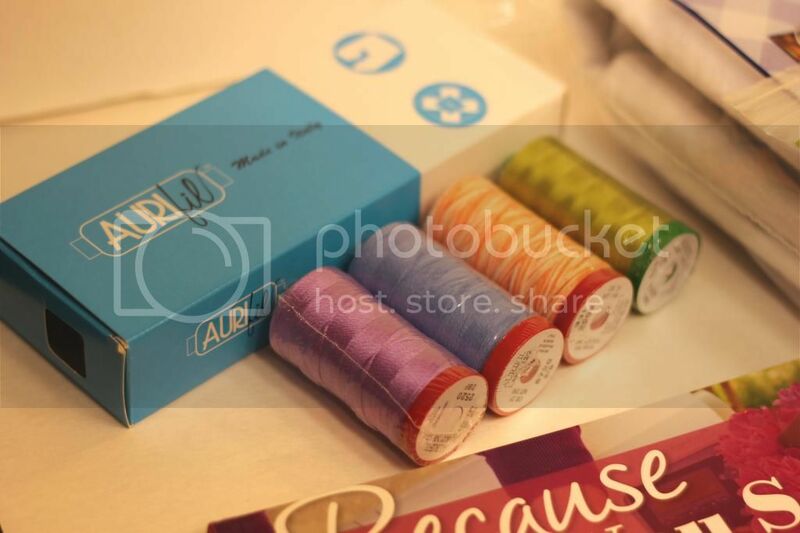 A handful of wonderful threads from Aurifil. A pretty blue stack of fabrics courtesy of Dear Stella fabrics. 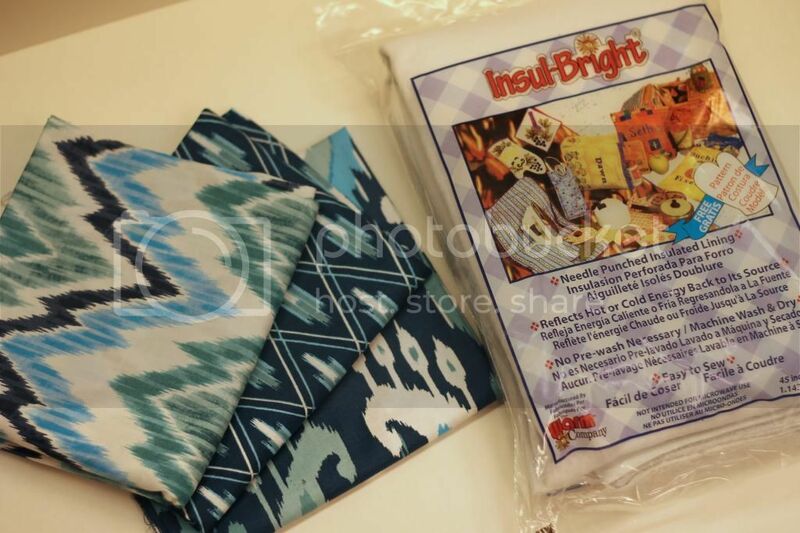 A package of InsulBright thanks to the Warm Company. 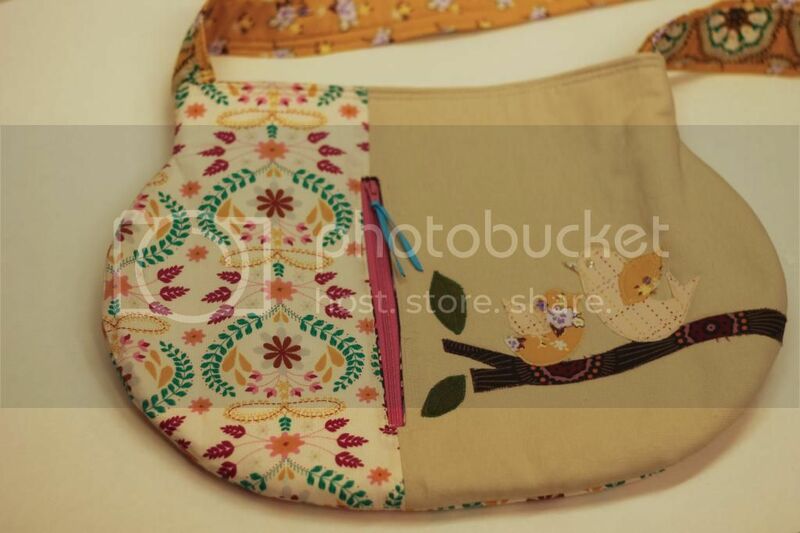 AND I'm giving away the handmade sample of the Sweet Tweet Bag from the book made in Bari J. 's gorgeous fabrics and made by me. 1) Leave a comment here on this post sharing with me your most special handmade gift you have ever given. 2) For an extra chance, follow me on Instagram (trishpreston) and repost about this giveaway. Come back here and leave a comment that you have shared on Instagram and be sure you leave your Instagram name. 3) For one more chance, share this post on your Facebook page and tag Two Peas in a Pod and leave a comment that you have done so. This giveaway will be open until DECEMBER 27TH, 2014. I will choose a winner using Random.org. Open only for domestic shipping in the US. BUT for my international friends - we are having a 2nd giveaway for a signed copy of the book only so that you aren't left out. Thank you for being a part of my community of friends. 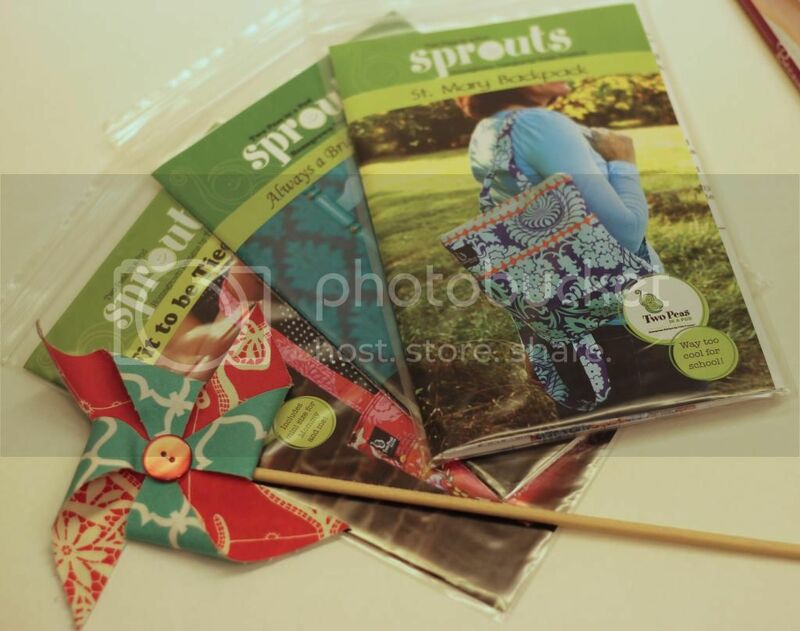 Be sure to visit all the previous stops of the tour and enter in the other giveaways for Because I Love You Sew. 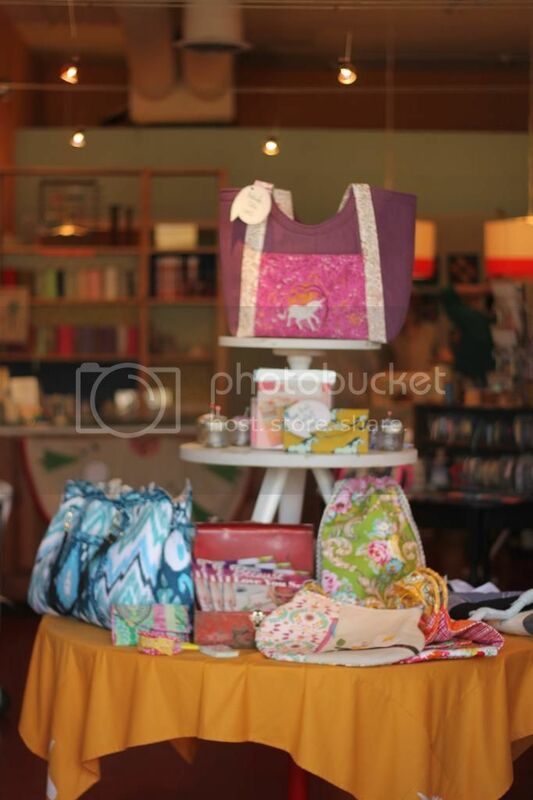 I love visiting with local shops - they always have such a warm and welcoming community of friends and Sew to Speak in Clintonville is no exception. Thanks so much to Anita and April for hosting a book signing and class recently. Can't wait to visit again!